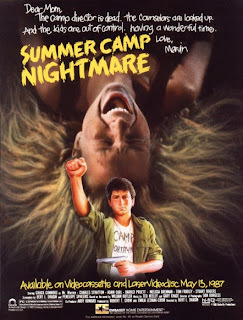 The Horror Movie BBQ: A Trip To Camp...Summer Fun Part 1! A Trip To Camp...Summer Fun Part 1! Ahhh...it's summer! All those months filled with cold weather can now be forgotten! Sadly, the next few months will be filled with barbecues, mosquito bites, and humid air! But why bother with that stuff? Do what I do. Grab a burger off the grill, crank up the AC and forget about those mosquitoes and pop in a great movie! And luckily for you there are quite a bit of horror movies that are based in the summer. So I thought now would be a great time to take a look! 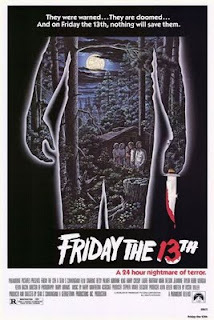 In 1981, Sean S. Cunningham took us to camp on "Friday the 13th". 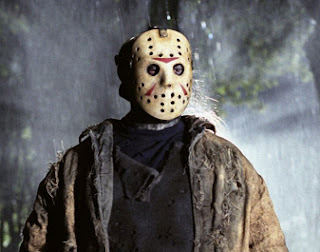 Now, if you know anything about horror you know that this the legendary horror series that revolves around Jason Voorhees, the boy who drowned at Camp Crystal Lake while his counselors were more interested in getting naughty. Years later, Jason's mother decided to take matters in her own hands and the rest is history! 9 sequels, a remake, a crossover film with Freddy and even a TV series(which had little to absolutely nothing to do with Jason. 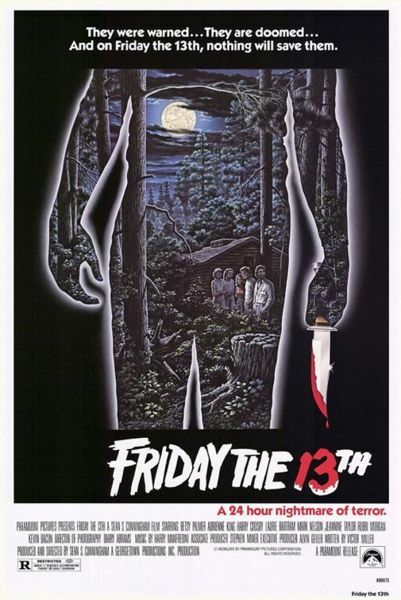 ), it's been proven that Friday the 13th is a good-to-honest cornerstone of horror movies. I guess his mother was right "you know what your gift is... no matter what they do to you, you can't die, you can never die." And with merchandising out the wazoo, you never have to leave home to go to camp! In fact when you plop down to watch your favorite massacre by the man behind the mask, you can now cuddle up with a Jason doll! I could go on and on about the merchandising, but I don't have enough space. Besides...I said I would save an entry for Jason's merchandising! The point is simple: Jason is a phenom. And why not! He's one of the most popular killers and attractions to ever hit the movie screen. And allow me to ask you something...how many kids dress as Jason and proudly wear the hockey mask every year at Halloween? Case closed. You don't turn a $550,00 investment and slash your way to almost 1 billion dollars total without doing something right! Whether you or I like him or not, Jason is going to be around for a loooooong time. Now, I've long said that I can't stand Friday the 13th and how I've always considered Freddy Krueger the far more superior slasher. But the fact is, you can never deny the impact Jason and his momma have made on horror. To some people Jason IS horror. And while I argue that point, I still see where they stand. As much as I love Freddy, they love Jason...and that's a key to horror movies! Variety. Speaking of Friday the 13th, my favorite horror convention Monster Mania will be running a very special "Return to Camp Crystal Lake" June 3rd-5th! The theme of this show, as you can tell by the title, is to celebrate all facets that is Friday the 13th! If you're a fan, this is the convention for you! So many campers! So many Jasons! And oh yes...the man who made you afraid to go to camp...SEAN S. CUNNIGHAM! It will no doubt be a blast for all Friday the 13th fans! You can get all your details at the official Monster Mania web site! A fun piece of trivia: lead camp counselor, John Mason was played by Tom Fridley who played Cort in Friday the 13th part 6: Jason Lives! I guess, some people just love going to camp, eh? Finally, we find our way at the end of our journey. 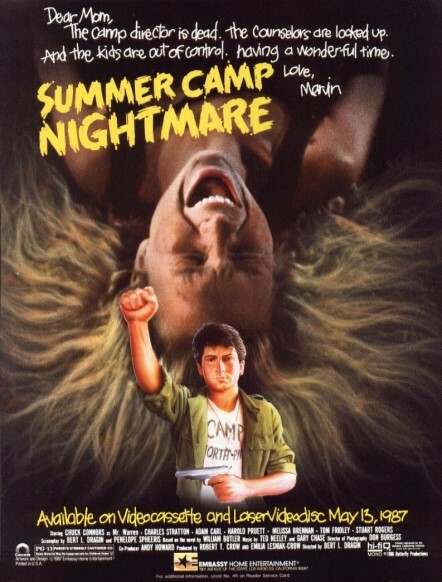 We find ourselves going to one killer camp...it's time to stay the night at Sleepaway Camp! My personal favorite of the three films I've discussed so far, Sleepaway Camp tells the story of young, quiet Angela, who is not too popular much like her cousin Ricky(played by Johnathan Tiersten). After she's sent to camp by her dear Aunt Martha(my personal favorite character of the series played by the fantastic Desiree Gould) she's picked on almost immediately targeted by the more outspoken and popular girls. Some girls, such as the evil brat of the camp Judy, do everything they can to pick on her and find ways to humiliate her. But...after the body count starts piling up, fingers point to her cousin Ricky. It's only after we find Angela's TRUE surprise, do they know what they were dealing with! Now, here's where things get weird. The first Angela was played by a young Felissa Rose and Angela then appeared in the two following sequels played by Pamela Springsteen. The first Sleepaway Camp was more of a darker, serious slasher movie while the two following sequels were more light hearted. In the recent years two websites have emerged, SleepawayCampFilms and SlepawayCampMovies from John Klyza and Jeff Hayes respectively. John's website devotes itself to the sequels while Jeff's site devotes itself to the original and the fourth movie. Originally released with the Red Cross on the front, this box set was recalled very shortly after complaints from the Red Cross Association, which apparently did not like it's logo(or something close to it) appearing on a boxed set of horror dvds. The box art was then replaced by a similar package with the words "SURVIVAL KIT" on the front cover. Another odd footnote in the history of Sleepaway Camp. Of course, those who had their original box set, scoffed at it and gladly kept their recalled and quite collectible copies. That includes me, as well! 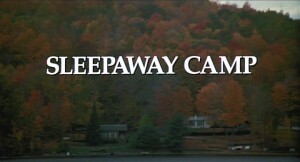 The promised fourth movie entitled "Return to Sleepaway Camp" was produced in 2003. Around 2004 and 2005, Jeff Hayes' site would include many stills and even a few soundbites from the movie. And it seemed every year we were promised the release. Which eventually come in 2008, after a 5 year battle concerning legal and production woes. But after all that time, what was delivered was a pretty good effort featuring some of the original characters played by the original actors and new characters played by Steve Schirripa and Issac Hayes and featuring small cameos by the band CKY as camp counselors. While it was a good film and did make longtime fans very happy about the wait, it also proved successful for rumors of a 5th movie! While rumors abound of John Klyza putting together the final and full cut of the Survivor, even garnering an article in Fangoria, this has yet to be seen. 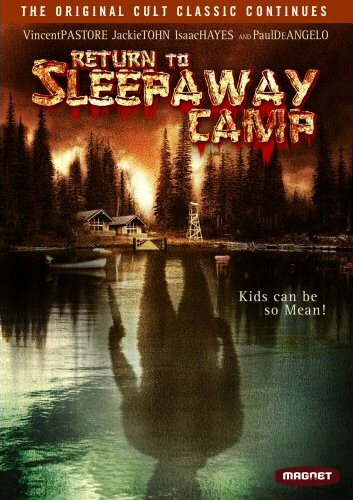 And while the excitement for another Sleepaway Camp movie would excite, I highly doubt we'll see it due to many reasons which I won't get into. There you have it...three fine examples of summer time frights! But wait! There's more! The next entry will tackle two of my favorite beach disaster movies...Jaws and Blood Beach! Join me will you? And don't forget to bring your sunblock!